Former “Scurbs” star Zach Braff has decided to give theater a try. Not as an actor but as a play writer. A modest and humble Braff is talking about letting the ego aside and concentrate on the work. The actor has already tested other areas in showbiz and he was surprised by the outcomes. 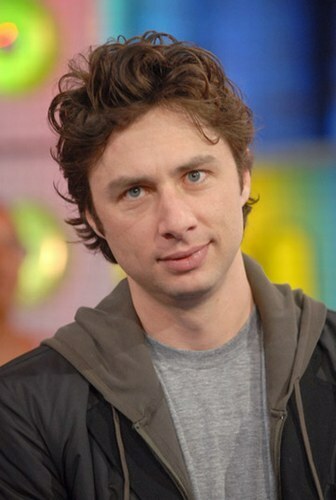 Zach Braff is best known to us for his role in “Scr ubs”. But playing one exponent of a new generation of doctors that sometimes proves to be better than the old generation is not all he can do. According to Associated Press, Braff is now trying his luck in the world of theater. His play is called “All New People” and it marks his debut as a play writer. He says that this work is “by far the most intimidating, humbling experience” that he had until now. He adds: “I think the biggest thing is not letting your ego get in the way of making the play better.” This has gained him the respect and admiration of Peter DuBois who is directing his play. “He’s an incredibly open, collaborative person” said DuBois, who also directed him in “Trust”. As we said, this is not the first time Braff turns to something else than the movie industry. For example, he has won a Grammy Award for the soundtrack of “Garden State”. “I know nothing about writing or creating music, and yet I have a lot of musician friends. So they walk by my Grammy on my shelf and give it the evil eye” Braff laughs.